Goaltender known for his massive size and effective hybrid style who joined the Toronto Maple Leafs in 2016. He made his NHL debut for the Anaheim Ducks in 2013. He played for the Herning Blue Fox in Denmark's Metal Ligaen. 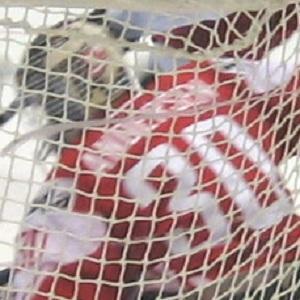 In March 2010 playing in the Metal Ligaen, he scored an empty net goal, a rare feat for a goalie. He was born in Herning, Denmark. He joined All-Star center Ryan Getzlaf on the Ducks in 2013.